lead teams in the delivery of health care in multiple settings across the care continuum. This program assists nurses in developing advanced clinical knowledge, leadership skills, and systems knowledge to provide care and clinical leadership in all health care settings at the point of service; implement evidence-based and outcomes-based practice; develop and implement quality improvement strategies; and create and manage microsystems of care that will be responsive to the needs of individuals and families. The program is designed to prepare nurse leaders who can address contemporary issues in an evolving health care environment. Graduates of the CNL program are eligible to sit for the Clinical Nurse Leader certification exam offered by the AACN Commission on Nurse Certification (CNC). The post-BSN to DNP with MSN exit with a major in CNL requires a total of 72 credits. A total of 41credit hours and 300-400 clinical hours must be completed for the MSN exit where the Master of Science in Nursing is conferred. Since the clinical nurse leader major does not include an advanced nursing practice major, these students complete an Executive Leadership bridge (6 credits) to the DNP. After the bridge, 25 credits and additional clinical hours are required for the completion of the DNP. It is the responsibility of all applicants applying for admission in an online graduate nursing program to confirm if the program meets specific licensure requirements in the applicant’s state of residence. Applicants may contact the applicable licensing board. For more information on courses descriptions, please click here for the catalog. Established to recognize nurses who have completed master of science in Nursing degrees, this certificate program builds on past clinical course work to incorporate unique attributes of microsystem leadership and lateral integration, quality improvement, evidence-based practice, outcomes management and management of complex work environments to prepare nurse leaders who can address contemporary issues in an evolving healthcare environment by addressing fragmentation of care, systems inefficiencies and concerns about patient safety and quality of care. 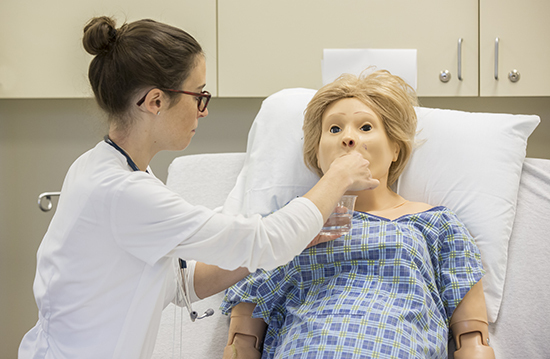 The Post-Master’s CNL certificate program requires 19 credit hours of course work inclusive of a clinical immersion project (designed with the health system partner). The program is taught in an engaging online format that is flexible and student-centered. Students need not be a resident of Michigan to enroll in the program. Clinical sites and qualified preceptors are identified near the student’s home to complete the required clinical immersion. A certificate of completion is awarded at the completion of the certificate program requirements.